Maca Energy Bars. When you start reading all about eating healthy, there are certain foods that come up. Kale, chia seeds, goji berries and maca are just some of them. I was curious about maca root powder, so I had to get a bag to try out. It is pretty pricey, but it lasts a long time. Kind of like the chia seeds. Maca root is a tuber, kind of like a potato. It is very well known as a natural energy booster. It can also help with hormonal issues such as menopause and fertility. Maca is rich in B vitamins as well. So I decided to make an energy bar with it. 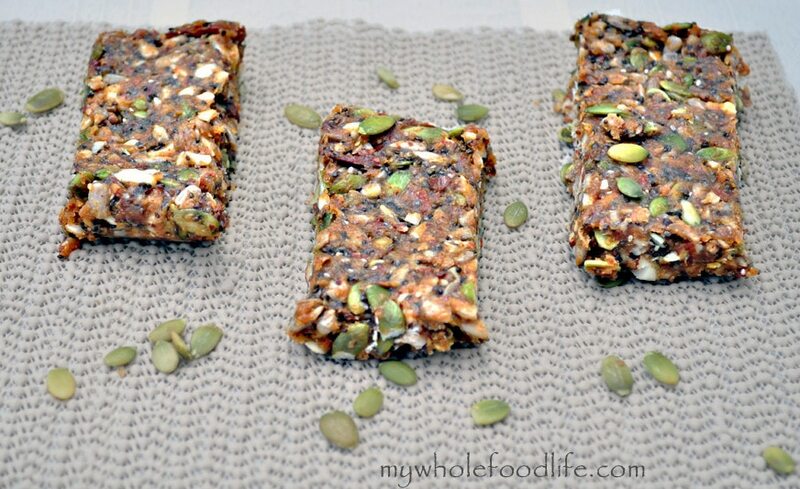 This energy bar is not only vegan, but grain free and gluten free too. In a food processor , grind the almonds into a course consistency. Tear a sheet of parchment slightly bigger than an 8X8 pan . Spread in the mixture and pack down tight . I got 8 bars out of my batch. Store them in the fridge or even freeze them for longer storage. Enjoy! 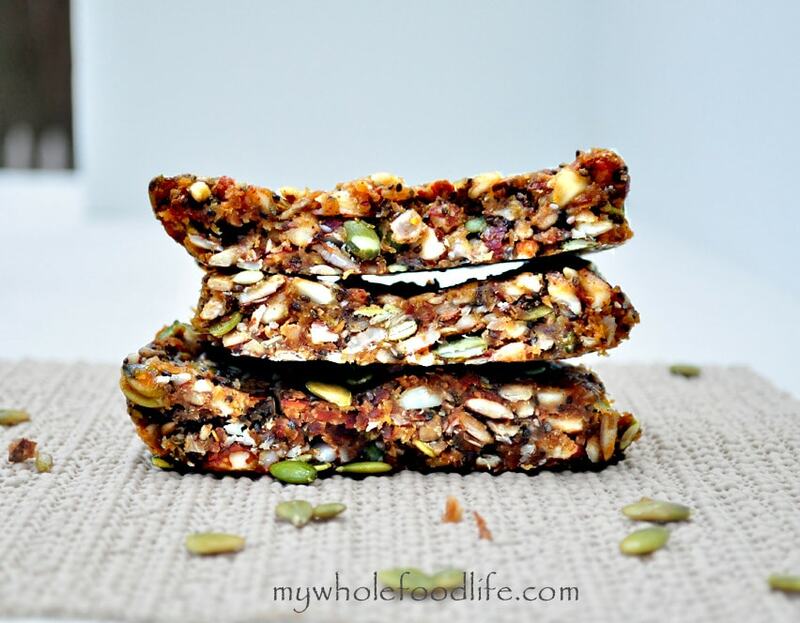 Melissa, your Maca energy bar recipe is simply scrumptious. I have made this recipe twice now and will continue to make these. Husband loves them too. Thank you for sharing. I'm so glad you enjoyed it Michelle! I love this recipe. I added 1/3 cup of coconut butter and cacao nibs. The coconut butter makes an interesting consistency. Ive been seeing so many different kinds of Maca Powders in stores. What kind did you use? What is T? Is it a tablespoon?